It is definitely brunch season. With Easter and Mother's Day barreling towards us it is a perfect time to dust off all of our favorite breakfast and brunch recipes. Of course it is also a great time to come up with new favorites! 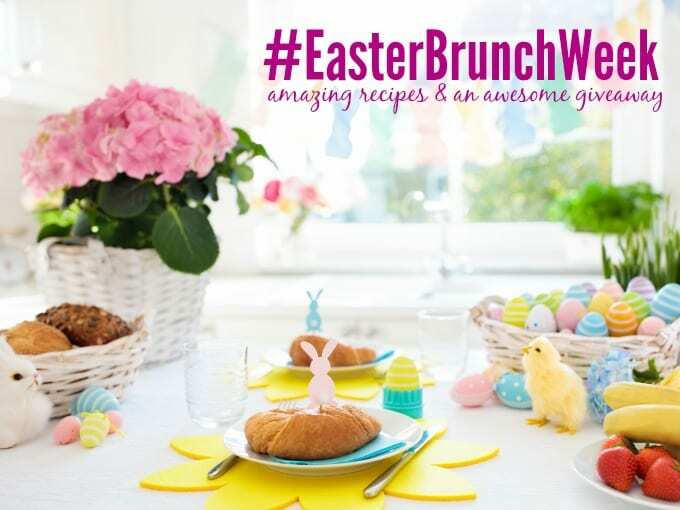 When Wewalka signed on as an Easter Brunch Week sponsor, I was super excited! I have raved about their puff pastry before. It is really easy to use because it is refrigerated instead of frozen. So you don't have to think ahead to pull it out to thaw. Plus it is rolled up in parchment paper, so all you have to do is unroll and go! It really couldn't get any easier. Of course my brain automatically went straight to doing something sweet. Perhaps a braid with some cream cheese and fruit or something. However I did a quick survey of my top fans on Facebook and found out that they were hoping for savory puff pastry recipes. So of course, that is what I did! Just start off by making some just barely set scrambled eggs. They are going to get more cook time in the oven, so you want them to just be cooked enough to hold together. Add some of your favorite cheese to the mix. I used a really yummy sharp white cheddar, but you can use whatever strikes your fancy. Some ham adds that salty savory flavor and a nice texture too. You could very easily toss in some of your favorite veggies as well. I would just cook them a bit first to cut the moisture content. You don't want to end up with a soggy bottom! 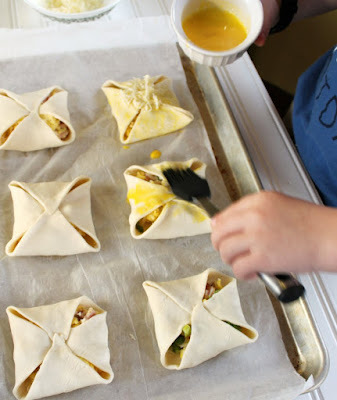 Arrange your ingredients in the center of your puff pastry and fold them up. It really doesn't get much simpler. Place your hand pies on a baking sheet lined with the parchment provided in the package and you are almost ready to go! Just give them a quick wash with egg yolk to help them get that super golden color and sprinkle with a bit more cheese. After about 18 minutes in the oven, breakfast is served. 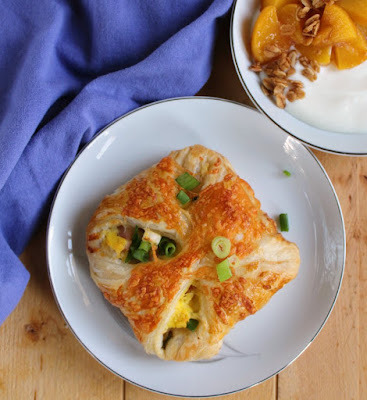 It is flaky, cheesy and oh so good! French Onion Palmiers are filled with caramlized onions and cheese to make an elegant appetizer. Swiss and Asparagus Tart is a perfect spring appetizer and something we have served at our Easter open house several times. It works both on a brunch spread or as an evening appetizer. I'd even take a slice with a salad for lunch! Apple Cheddar Pinwheels are a savory apple appetizer that are loaded with cheese and thyme. Eggs Benedict Tarts are a fun way to elevate the brunch classic. 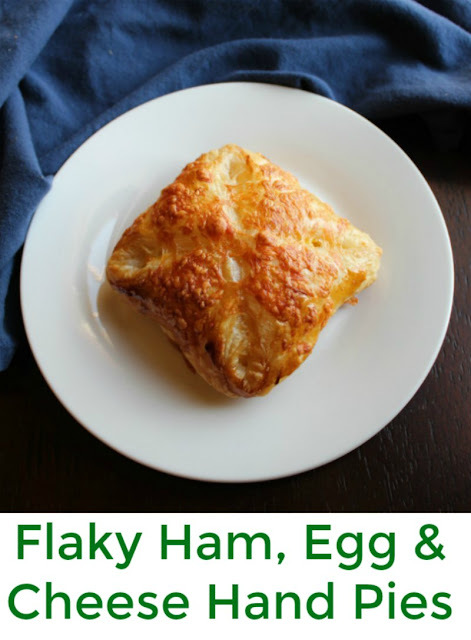 It is hard to go wrong with adding flaky layers! This week, we're sharing loads of Easter recipes and celebrating the upcoming holiday with an amazing giveaway, sponsored by Eggland's Best, GROSCHE International, Hamilton Beach, Nordic Ware, Rhodes Bread, Silpat, Stonyfield and Wewalka. You can read more about these awesome sponsors HERE. In a medium skillet cook ham over medium heat until it is fragrant and lightly browned. Whisk together 3 eggs plus one egg white and sour cream. Reserve the extra egg yolk for later. Pour eggs into skillet with ham and season with salt and pepper. Cook until just barely set and remove from heat. 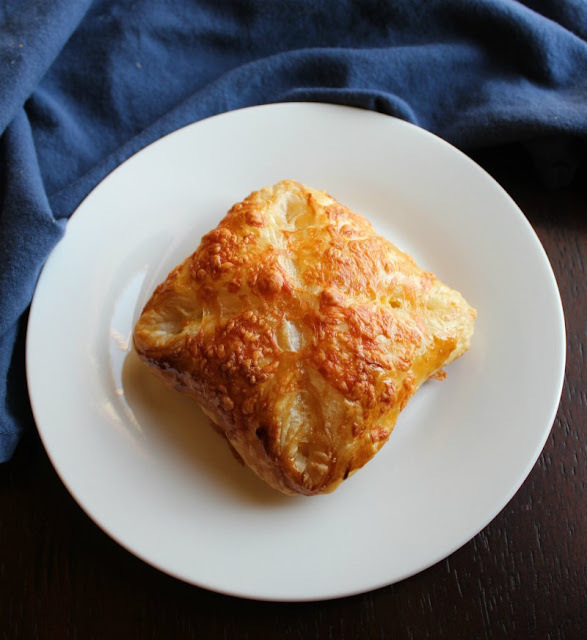 Cut cold puff pastry into 6 squares and place on parchment lined baking sheet. Top with 1/6 of the egg and ham mixture and a couple of teaspoons of cheese. 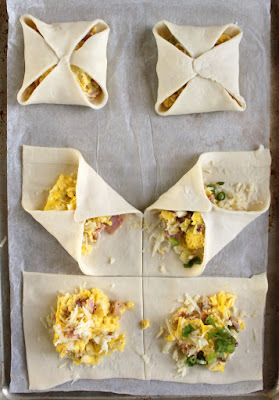 Fold the corners of the puff pastry over the egg mixture and pinch them together to seal. 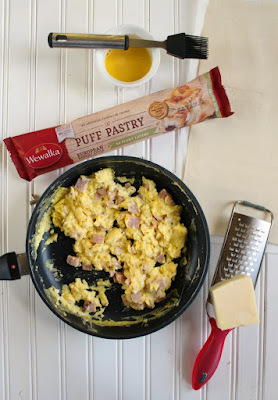 Mix the egg yolk with a Tablespoon of water and brush over pastry. Sprinkle with a little additional cheese. Bake for 18-22 minutes or until golden and flaky. Serve immediately. These are going my Easter menu! What a perfect presentation. I would love to see these on my plate! These looks amazing! 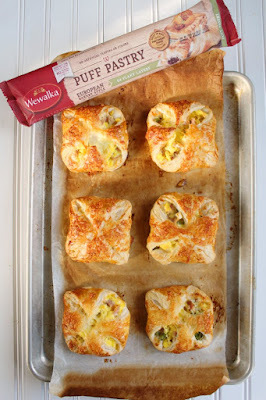 I am always looking for puff pastry ideas. I am from Central Illinois- just a few hours away from you! I enjoy your site.